While writing my mother’s eulogy a few months ago, I realized that this year is the thirtieth anniversary of the publication of my father’s book, Writers in Sussex. Sadly Bernard died at the end of 2005, but it was a wonderful experience working with him on the book, one I’ll always remember. I had just finished a photography course and he was looking for a project to occupy him during his early retirement. 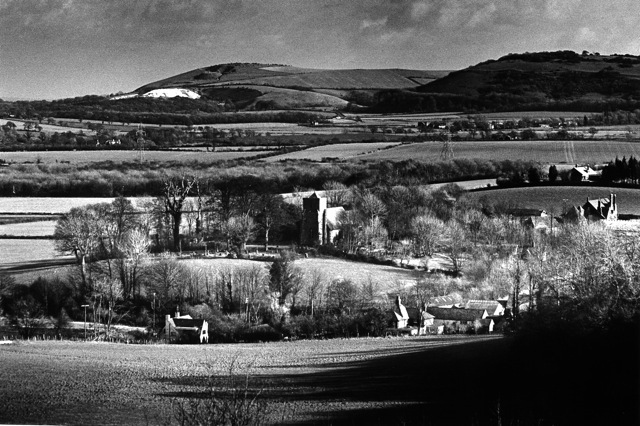 Together we hatched a plan for a book that would allow us to explore the beautiful county of Sussex. 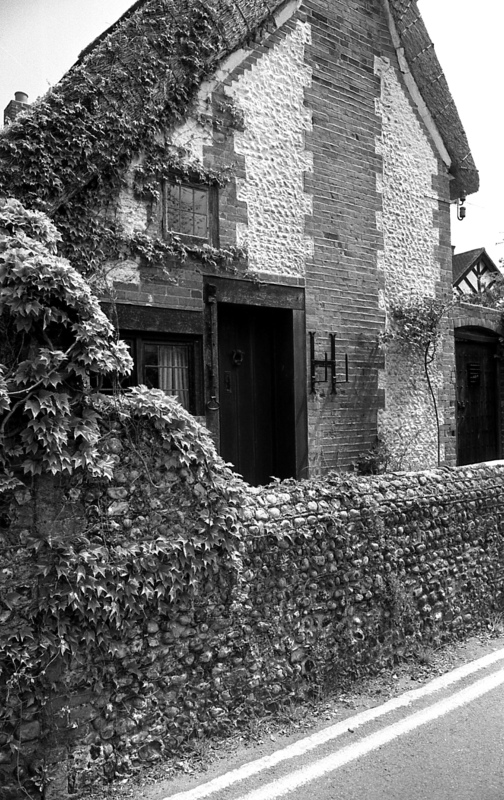 Once we had the green light from the publisher, we began travelling across the county, tracking down the homes of authors who had lived in Sussex. While I photographed the houses, dad would talk to the owners, neighbours and anyone else who might have information about the local literary history. He often included their reminiscences in the book. And if our painstaking research also led us into a pub (in search of information, natch) then so much the better. 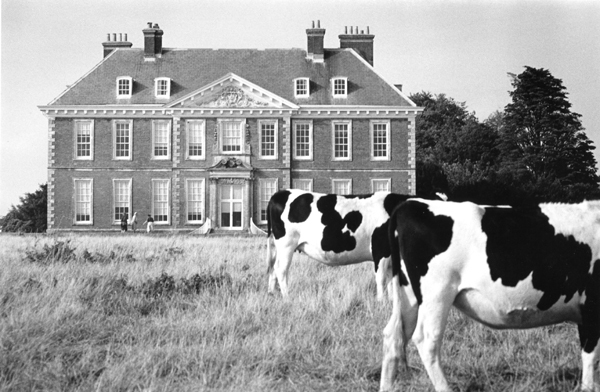 Later, when I came to write a book of my own, about the origins of atomic weapons, it was strange to recall the impressive stately home, Uppark, where HG Wells’ mother was house-keeper and where her son was allowed to indulge his passion for reading in the great library. Imagine Wells, the fantastist of the future, living here! Recently, I was delighted to see that Blake’s Cottage had been bought by the Blake Society and will soon be open to the public. 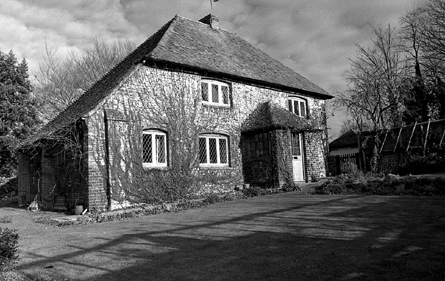 That would have pleased my dad, as he often took his adult education students to see the old flint cottage in Felpham – “the sweetest spot on earth”, according to Blake. Sadly some of the houses we photographed have now been demolished. 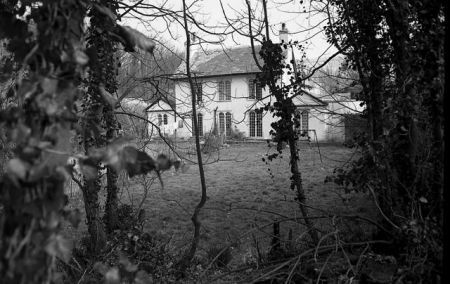 Asham House, Beddingham, where Virginia Woolf lived during the First World War, has gone. That’s a great shame as it was a beautiful house. When we visited, the air was filled with the sound of ragged crows calling to each other across the bare tree tops. 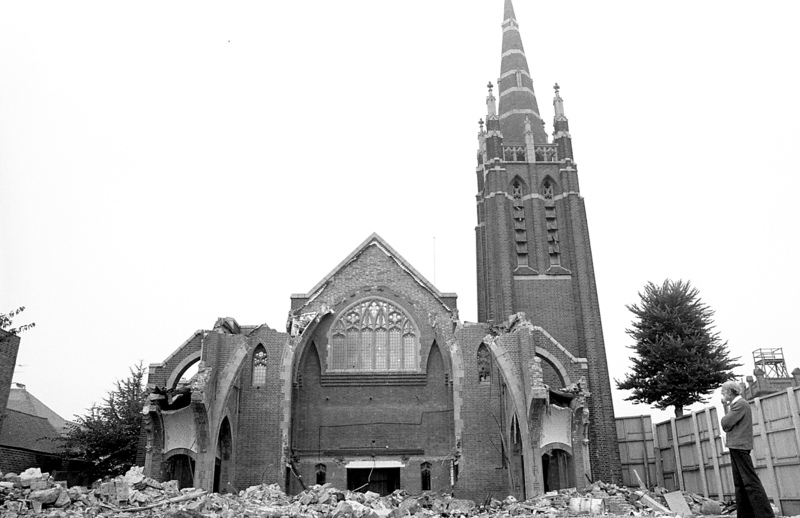 The brick church of St Cuthbert’s in Hove, where the poet Andrew Young was a minister from 1920, was demolished while we were working on the book. I took a photograph of Bernard among the ruins. As a young man, my dad had been a poet and he loved Young’s poetry. 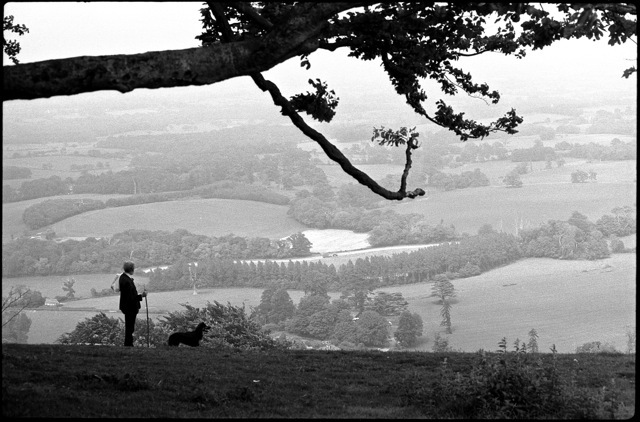 They were good days, full of conversations about writers and walks across rolling downland, fueled by dark Sussex ales – days I’ll never forget. Thanks dad. I dare say you can still pick up a second-hand copy of our book. My photos from the book (and a few extra ones) are mostly on Flickr. You can also read the foreword, written by another Sussex writer, Christopher Fry. I’ve uploaded a pdf file of his original text, typed on his 1917 typewriter, here. If you’ve enjoyed reading this, you might be interested in another piece I wrote on the links between place and writing. This is very interesting and charming. And yes, I'll read your piece about the link between places and writing.A rather tight link, methinks.